High low sleeveless gothic dress with a diamond neckline and elasticized broad lace puffed shoulder straps. 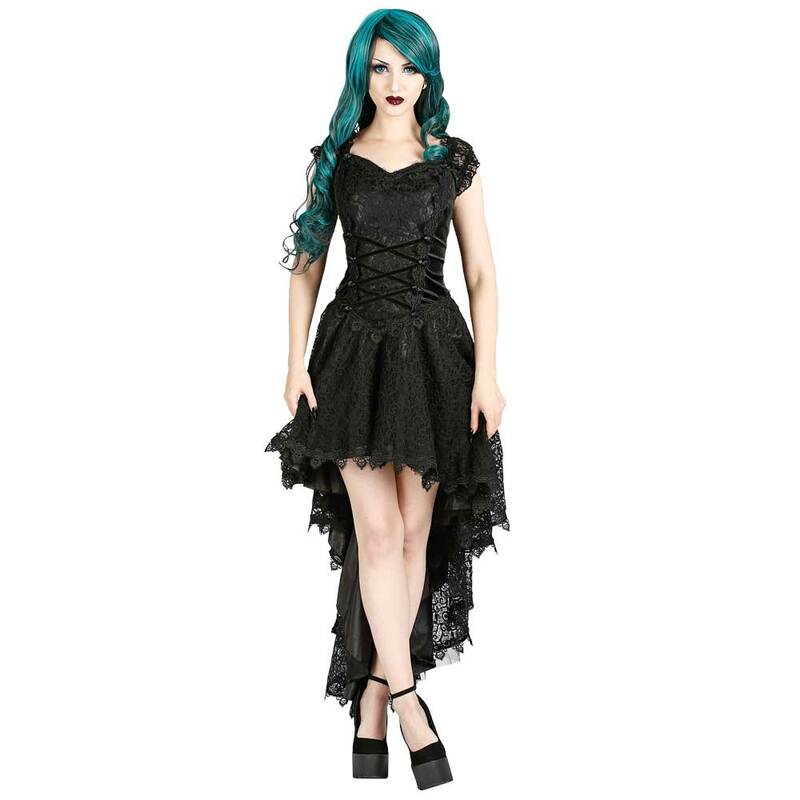 The silky soft satin dress has an overlay in French lace. The satin front- and back panel of the bodice are overlaid with French lace, trimmed with Venetian lace which is decorated with ten roses at the front centre panel. 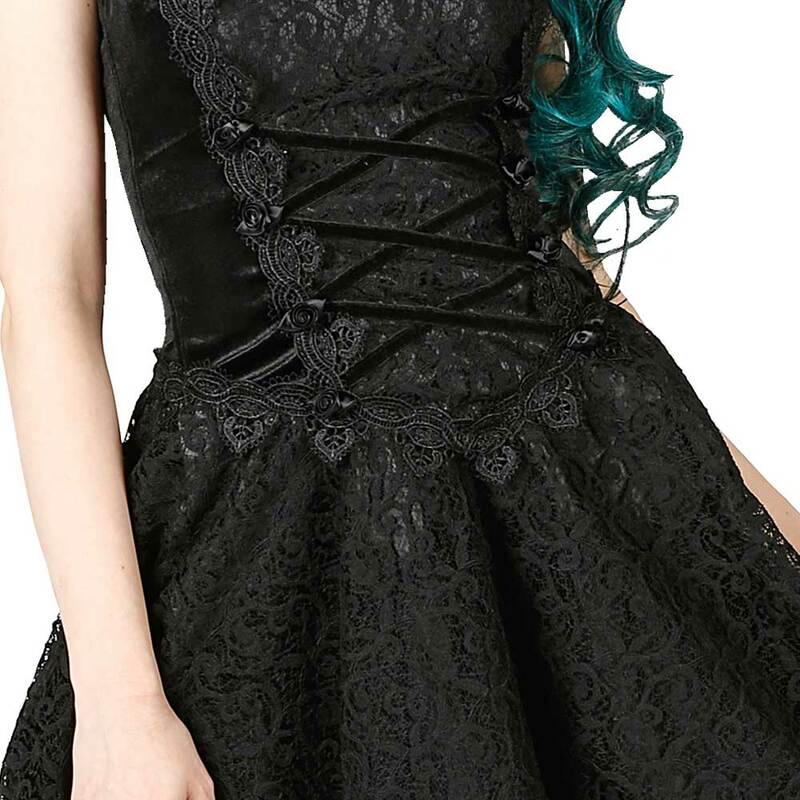 The fully lined fishtail lace skirt is trimmed all along the hem with Venetian lace. All panels of the body have satin ribbon lace-ups and are trimmed with brocade. Purchase this product now and earn 139 - 139 Points!